Is your boyfriend’s birthday coming up? Are you are yet to decide what to gift him and what plans to make? It’s that time of the year, when your man needs all the attention and love to make the day special for him. The usual birthday surprise ideas for boyfriend such as buying him a nice gift or going out for dinner together are okay and will certainly make him happy. But, how about surprising him with something he does not expect? So, would you want to plan something creative this year? We will start with the most interesting birthday surprise ideas ever that will blow away his mind! It will not just be fun for him, but also a great way for you to indulge into some planning even before the B-day arrives. As a woman, these ideas will only bring both of you closer together and in so many ways give you memories to last forever! Whether it is still some time before your boyfriend’s birthday or is it around the corner, travel plans can be the best way to celebrate his birthday. Last minute trip deals can offer amazing discounts, so you can save on a getaway. The tip here is to try to keep the plan a secret. If your boyfriend has a busy schedule, then ask him in advance to block off his schedule between certain dates. But do not reveal what you’re up to. When planning a surprise trip, make sure you research adequately to find out the most incredible travel deals for the place of your choice. It is best to look up the various travel websites that offer packages you could benefit from. If your boyfriend is an extrovert and both of you enjoy spending time with friends, then maybe plan the trip with them. This could be a total surprise for him and most men love having their friends around! He could be absolutely taken aback if you have his friends coming over to celebrate the occasion. After all, more the people the merrier. Sometimes even the little surprises can take him off guard. What better day to do so than his birthday? As a doting girlfriend you can do your homework beforehand by asking his friends and family about the most hilarious and fun things that your boyfriend has done in the past. This can get hysterical as your boyfriend can feel the love of the people he is closest to on that day. It may be that the friends and family do not meet many a times. Sending their thoughts across to him on his special day does two things – you get to bond with his family and pass on the love of these people in his life to him! Totally recommended birthday surprise for someone you love! Spend your boyfriend’s last few hours of his actual birthday watching the sunset – just the two of you. Nothing gets more romantic as sitting together and in a blissful ambiance to reflect on the special time spent in the location. This may be that moment when you’ll hear your boyfriend say – “This was the best birthday ever!”. Surely this will make your birthday surprise ideas for boyfriend a success. Nothing brings more joy than seeing your loved one happy. Wrap up the day with a special dinner. Of course, let your boyfriend make his pick about the restaurant and the menu. Among all the surprises, this is the time when you can reveal your final surprise of the day. If you want to convey how much you love your boyfriend, dedicate a song exclusively for him at a store radio. For this, you will have to make some arrangements beforehand. It’s a great way to make him stunned. Surely, he wouldn’t have thought about this in the wildest of his dreams. As much as romantic and lovely this could be, make sure to look into the detailing before you initiate your plan. For example, check the name and make sure the pronunciation is correct. An incorrect pronunciation can be a total turn off. So, plan it carefully. A fun and absolutely innovative way of ringing in your boyfriend’s birthday is by creating custom t-shirts. Getting personalized clothing is a good way to immerse into the celebration mode. Among the unique birthday surprise ideas for boyfriend, custom t-shirts is one of the few surprises that will make your trip extra special. Decide on a good messaging to go with the day. Well, this can mean some kind of a technical work, but you can take help from the several tools available online that make it simpler. You can also seek assistance from popular gig makers over the web that create custom music videos, especially for the purpose for as low as $5! This is a great way to show the love to your boyfriend on his special day. It is one of the most delightful birthday surprise ideas for boyfriend on a budget. When the boyfriend’s birthday comes along, most girlfriends will be looking out for unique birthday surprise ideas to blow his mind! 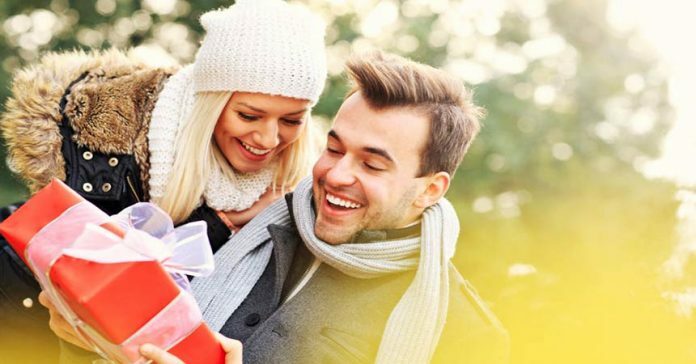 Whether you have just started to date him or you both have been together for years, it’s not uncommon to run out of gifting ideas for your boyfriend on his birthday. Planning a surprise travel can not only solve the dilemma of which present to buy, but will be good for you both to enjoy some time off together. If you both love your friends, then count them in for the celebration to make it the best trip of the year! Make sure you capture the moments and share them with your friends and family. Again, you can create videos of the fabulous time spent at the vacation spot. Or, you can keep them the secret between just the two of you!